Twihards, please do not take this vraag as a personal insult. This is actually for a school project thing - well, meer precisely a speech project. I'd like detailed antwoorden backed up door very convincing supporting facts. I don't want people arguing. I just need Twilight's faults for a persuasive speech. I don't exactly want anything like that 'Dumb Vampires Sparkle' thing. Help from Twihards will be much appreciated too! And please hurry and post up the antwoorden because my teacher will soon be up my doorstep, demanding my unfinished speech. Thank you, everybody! Yes, sorry. Only the books. If I talk about the films too, there's no way it'll all fit into a three minuut speech. Wait, are we only talking about the boeken here? 1) Harry Potter series has realistic characters with vibrant personalities and they are very well described. Although, twilight is not void of interesting characters, they never rise to the surface and their history is poorly described. 2)Although, some may sum up Harry Potter as "chilidish tale about a teenage boy killing an evil wizard", it has proved to be much meer than that. It is rich in plot depth, character development. In twilight series, although the theme is eye-catching, the characters are plain, poorly developed and clearly two-dimensional. 3)Harry Potter is a blend of good values and in every book it brings out the importance of friendship,loyalty, love( parental love, sibling love, roamance, etc), faith in what u believe in, faith in others and last but not the least faith in yourself. Twilight just highlights the romantic aspect and plays down many other values. 4)Harry Potter is read my a wide range of age group because it's not entirely based on romance. Twilight is mostly read door teenage girls, and although there may be other age groups it is less in propotion. 5)On a literary note too, Harry Potter series triumphs over the twilight series. The descriptions are meer natural and seem effortless from the part of the writer while in twilight the simplest of things is made into complex knots. 6)In Harry Potter,no statement mentioned door the writer have been left unexplained. In twilight series, every rule laid door the writer had been broken at some point in series. HP shows a much bigger creativity and research. In HP, JK Rowling didn't only imagine characters, she had to imagine a whole world. Also, the plotline of HP obviously demands meer creativity too if u compare it to Twilight. You're welcome and sorry for the bad english xD! Thank u so much. Also, thanks for replying so fast. Thanks u so much. I'll use them, especially your last one! oh yeah it also gave a perspective how powerful women is, even her looks was a mess (in the book, in the movie emma never look bad) without hermione harry and ron will be loss, a housewife can kill a criminal to protect her children, and even her boyfriend leave her ginny didn't jump from a cliff but became one of DA leader and fight against injustice in her life, the girls in HP are amazing!!! Thanks a million. It helped! Harry Potter can be enjoyed door a wider audience as most of the boeken (specially the earlier ones) are quite suitable content wise for children. Even if the child's literacy level is not up to scratch, the earlier boeken are child friendly enough that a parent/older reader can read it to them. Twilight's audience however needs to be quite a bit older. The content and focus of Twilight makes it an unsuitable book for children as it deals with teenage angst, sexual attraction, graphic violence, etc. It's not exactly a book a parent should read to their child at bedtime. Also as a mostly fantasy adventure book, Harry Potter is meer likely to appeal to both male and female audiences whereas the paranormal romance genre has traditionally been enjoyed door a mostly female audience. Harry Potter can be enjoyed door children as young as 6-7 through to adults even though it's classified as a young adult's book. Twilight should only be read door young adults (14-21) though to adults. First of all, I don't think that these two boeken should be compared. They are two different things. I've read all hp and twilight boeken and I've seen all the films too. I like both and I'm not one of those who will argue about them. In my opinion, HP is regarded as better, as it transfers the reader to a magic world, which is meer "innocent". Hogwards is portayed as a beautiful place, free from new thechnologies, mobiles of pcs. (for example we see that Hermione goes to the library). In twilight, the school is a typical modern one, where everyone go with their car. Also, the hp characters are perfect role models. The most important values for them are family, friendship, love. Whereas, in twilight there's only edward and the clumsy bella... Furthermore, Hp is sth different from what we know with the love triangles and stuff.. It is very romantic and shows us that a girl and a boy can be actual vrienden (Harry and Hermione, Harry isn't jealous of romione). Contrary to this, in twilight every boy goes after bella and they fight with eachother for her. Finally, I like both twilight and hp, but i think nothing compares to the atmosphere of hp. Twilight is a phase, which in my opinion after some years will pass. 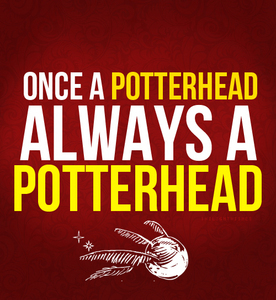 HP is a lifestyle and it's sth that i want my children to read... Sorry for my English I hope I gave u some ideas! Lol! I'll make sure I add that. 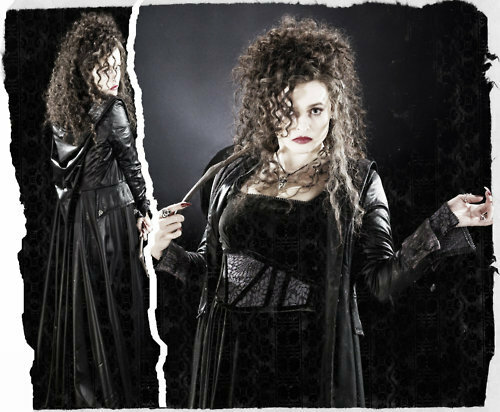 Bellatrix's brilliant! steven king zei "Harry Potter is all about confronting fears, finding inner strength, and doing what is right in the face of adversity. Twilight is about how important it is to have a boyfriend." Reasons why Harry Potter is better than twilight. 1. Harry potter actually tells a story while Twilight talks only of a relationship. 2. Many twilight fans are teenagers that don't know what they're doing while Harry Potter fans are much meer mature. 3. (this isn't really a reason but...) For the twilight fans, a few years from now, when u look back to the time u loved twilight, u will see how we (harry potter fans) feel right now. Well HP is better because first off the thing that sticks out the most to me is sacrifice. Jk was afraid to sacrifice characters for the good of the book. If you'll notice alot of important characters die in there. But in twilight almost no one important dies. Secondly, imagination. Everything Jk came up with was imaginative. Twilight was just predicitable. And HP's storyline to me is better. They were all best vrienden brought to gether under certain circumstances. And u see the love slowly devolp. In twilight i feel like all of it was rushed. But in HP they meet as kids and form a strong friendship before they start to really notice each other. And lastly the drama. In twilight it seems all of the drama can be directly traced back to bella. But in HP so many different people throw something else in the plot that it seems it's coming from every direction. 1. Harry Potter has a stronger female lead than Twilight does (Hermione vs. Bella of Ginny vs. Bella). 2. Harry Potter appeals to a much larger audience than Twilight. 3. The Harry Potter boeken and films usually get better critical acclaim than the ones of Twilight. 4. The Harry Potter films receive meer prestigious awards than the ones of Twilight. 5. JK Rowling has earned honorary degrees from Ivy League schools (and other very prestigious awards from Harry Potter) whereas Stepehenie Meyer hasn't. 6. The Potter series has a much better reputation than the Twilight series. 7. HP is the most successful film franchise (almost 8 billion dollars) of all time. Twilight is in 9th place (1 billion will probably hit 2 depending on how well BDP2 does).